I've been playing with the Apron of Love bundle and thought that it would be the perfect set to document my Grandma's doughnut recipe. 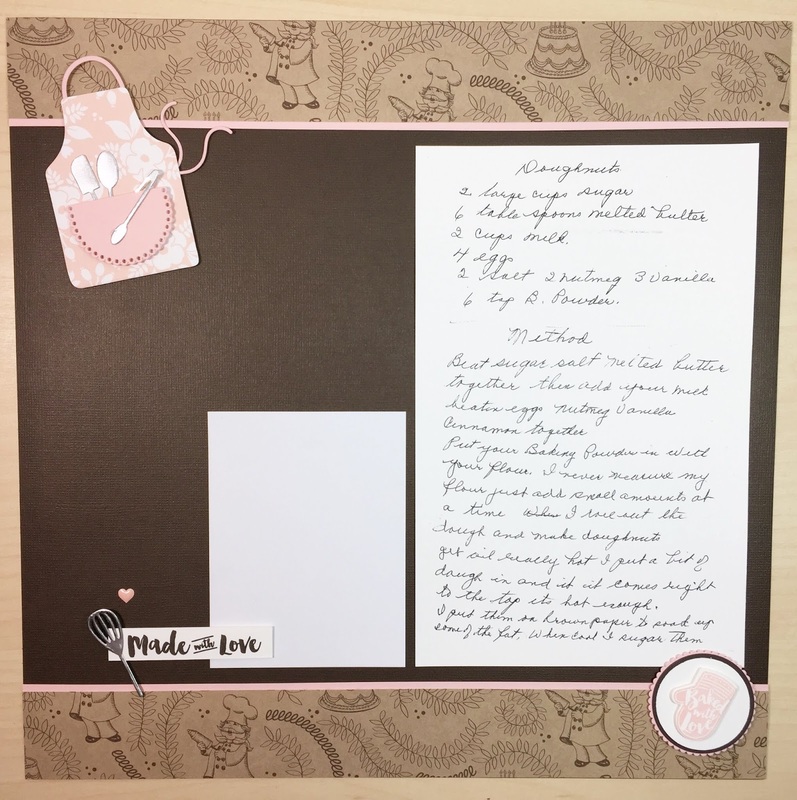 I've been saving this cute little pastry chef patterned paper from the Birthday Memories dsp to document some of my recipes and decided that the two would go perfectly together. I've had it for over a year and hadn't touched it - so it was definitely time... now that it's retiring lol. I have a bag of my Grandma's recipes, some are in recipe books but most are written on little pieces of paper. I was so happy that the doughnut recipe was in there because it's one of my favorite recipes of hers. Plus it means even more with it written by her. So I copied that onto some whisper white cardstock and trimmed it to fit the page. The apron makes the perfect accent. It was cut from a powder pink patterned paper from the Oh So Lovely dsp (which is sold out) and the accents from powder pink cardstock. I love the look of the pink and brown together. It makes it look a bit more aged. The oven mitt and the 'made with love' greeting are also from the Apron of Love stamp set. Now I just need to make the donuts so that I have a photo to add to the page and do a bit of journaling. Ever since finding this recipe I've been craving my grandma's doughnuts! There's only a few more days left to purchase the Apron of Love Class in the Mail. 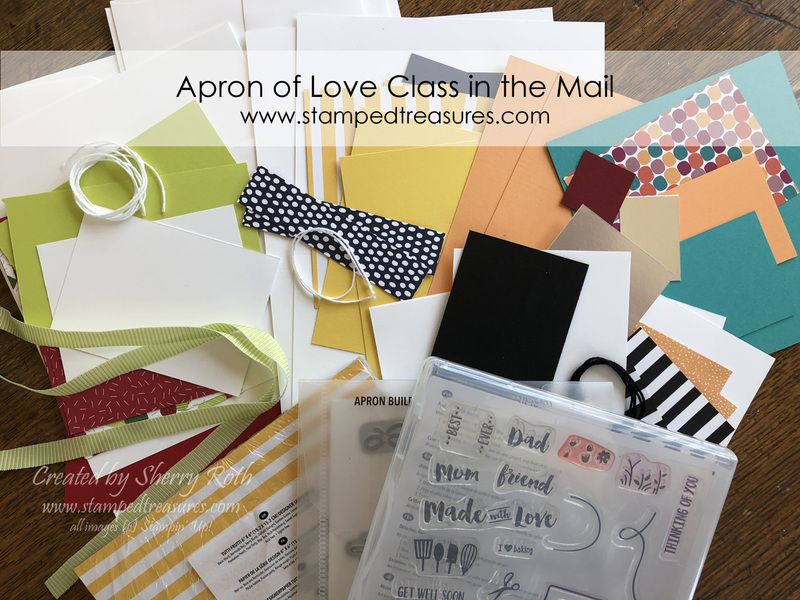 Don't miss out on this adorable class where we will make 6 cards (2 each of 3 designs) and a cute treat box. You can find all the information for the class here. Deadline to register is May 25th.